← Where have all the German programmers gone? 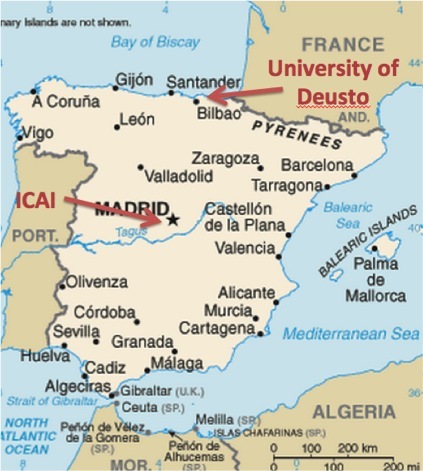 This entry was posted in Education, Global University Guide, Spanish University Guide. Bookmark the permalink. The real question is indeed how long it took you. Spanish universitities will kill a certain % of students during the first and second year. For the rest, they will need one extra year to cover the first and second year. So, the cool students are the ones that can run the complete grade within the 4 years that the grades takes. 3 or 4 years grades. Spanish universities will do 4 year grades. 3 years are for zizies. And be careful! in England, when you make a 4 year grade, you add 1 GAP year (work, erasmus, etc..). That is also for zizies. We make 4 real study years. Another important question: Ok, you have studied during 4 years, but….. did you ON TOP OF 4 years study, made “practicas en empresa” (company interships) or did you travel abroad on “erasmus”. Only good students can cope with 4 years study plus company interships or erasmus. Grades. As you mentioned correctly there are grades. When we finish the university all our scores will take into consideration to make the average. This average will determine your grade as you mentioned: 5-7= Approvado (passed). 7-9 Notable, 9-9.5 Sobrasaliente and finally 9.5-10 excelente. Honestly, NOBODY cares about your grade in Spain. Nobody. At the end of the day, you have done 4 years of intensive study, plus internship, plus eramus, plus some extra courses and language school. Best students will do ALL this and have an Approvado or Notable. If they can do with Sobresaliente or Excelente, then they are super crazy people, and I will not employ them by any means. Remark: this Grade is officially stated on the University diploma, so very easy to confirm. A- What did you studied? B- How long did it take you? C- Have you done Intership and/or erasmus? D- Are you a normal person? or alternatively, what is your average marks or grade?